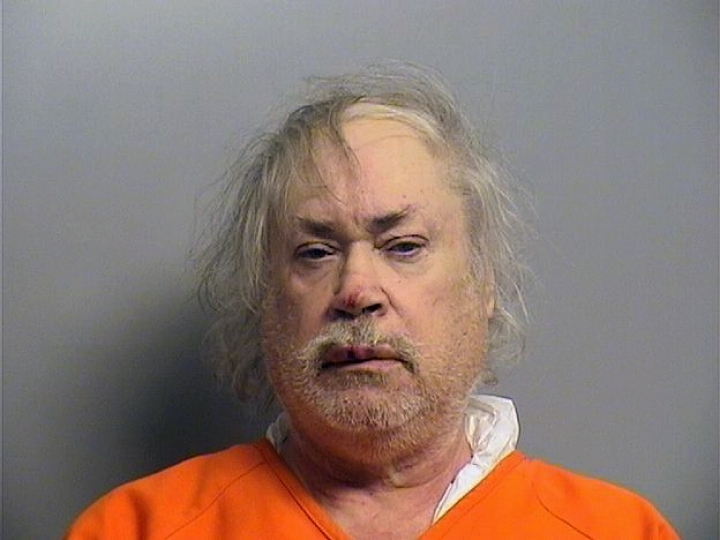 TULSA, Okla. — An Oklahoma man suspected of fatally shooting a male neighbor was accused of harassing and shouting anti-Muslim slurs at the man's family, who are actually Christians from Lebanon, and of trying to run over the man's mother with his vehicle. Police say Khalid Jabara was killed at his Tulsa home Friday and 61-year-old Stanley Majors is being held without bail on a first-degree murder complaint and possession of a firearm after a felony conviction, but online court records do not show that he has been formally charged. It was not clear if Majors has an attorney to speak on his behalf. Jabara's family issued a statement saying Majors had called the family "dirty Arabs," ''filthy Lebanese," ''Aye-rabs," and "Mooslems." Prosecutors had charged Majors with injuring Jabara's mother, Haifa, in September by driving his vehicle into her. According to court records, Majors was charged with assault and battery with a deadly weapon, leaving the scene of a collision involving injury, violating a protective order and public intoxication. Prosecutors tried to keep Majors in jail on the assault charge, but he was released after posting bond on May 25. Majors' attorney in that case did not immediately return a phone call for comment after business hours on Tuesday. Haifa Jabara was previously granted a protective order against Majors in 2013 after alleging that he had harassed her and that he "is very racist towards foreigners and blacks." He was prohibited from possessing firearms for the following five years and barred from going near Jabara or her home. Majors was charged with violating the protective order in March 2014 after Haifa Jabra told police he had yelled racial slurs at her while she was in her driveway and threatened to kill her. The Tulsa World reports (http://bit.ly/2byi02N ) that Tulsa police Sgt. Dave Walker and Assistant District Attorney John David Luton said Monday that it's too early in the investigation to say if Majors will be charged with a hate crime.